Willian believes Chelsea want to keep defender David Luiz, whose contract at Stamford Bridge expires at the end of the season. 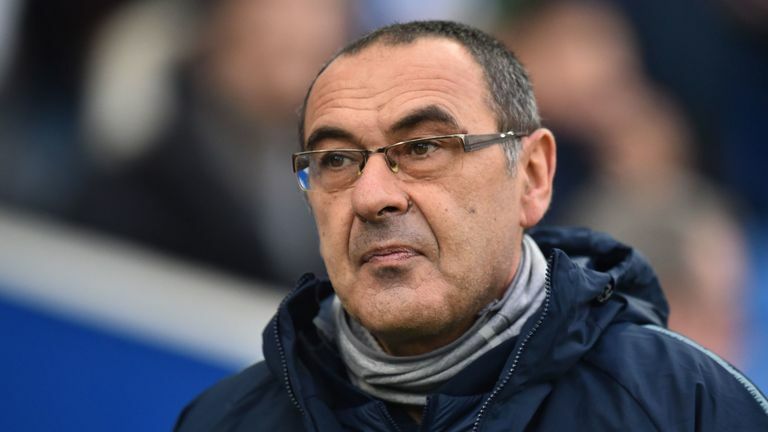 Chelsea head coach Maurizio Sarri has spoken of his desire for Brazil defender Luiz and midfield playmaker Cesc Fabregas, whose deal also runs out on June 30, to stay. Willian lauded the quality of his compatriot Luiz, whose decisive pass allowed N'Golo Kante in Sunday's win at Crystal Palace with a pass few defenders are capable of. "We have to see if the club will want him," Willian said. "I think they want (him). For me, I want him to stay. Sarri in early December said it would be very difficult to replace Luiz and Fabregas, who are both free to negotiate pre-contract agreements with foreign clubs from Tuesday. Both players are 32 before the end of the season and are believed to want a longer deal than the one likely to be tabled by Chelsea. Willian's own contract expires in June 2020, at the same time as Eden Hazard's. While there has been plenty of conjecture over Hazard's future - with the Belgian admitting his quandary over whether to pursue a "dream" move to Real Madrid - Willian is happy to bide his time. The 30-year-old joined from Anzhi Makhachkala in 2013 and signed a four-year contract in 2016. He had been expected to leave if Antonio Conte had stayed as boss, but under Sarri, Willian is relaxed about his future.